Yesterday Donald Trump introduced the UK's Brexit leader during a campaign event in Jackson, Mississippi. 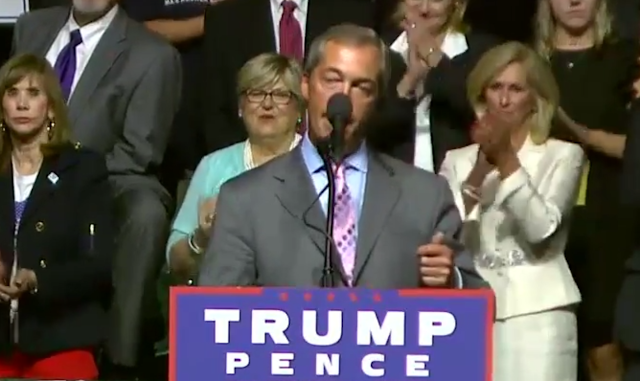 Nigel Farage is now Stumping for Trump. It's always a major body language faux pas when the person whom you're introducing is approaching the lectern 180 degrees from where you think. It also is bad form to have a microphone positioned such that it obstruct a large portion of your guest's face. 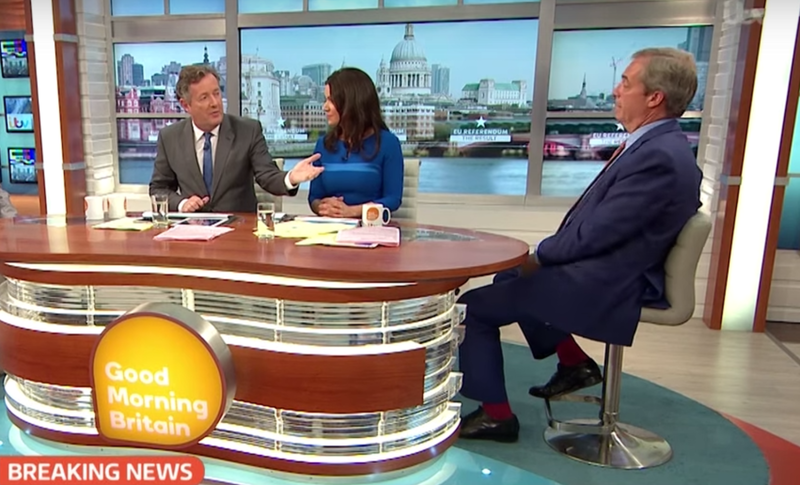 Nigel Farage was a guest on Good Morning Britain the day after the Brexit vote (24 June 2016). On that occasion Piers Morgan compared Mr. Farage to Donald Trump and asked Farage if he'd be speaking with Trump on his visit to Scotland. 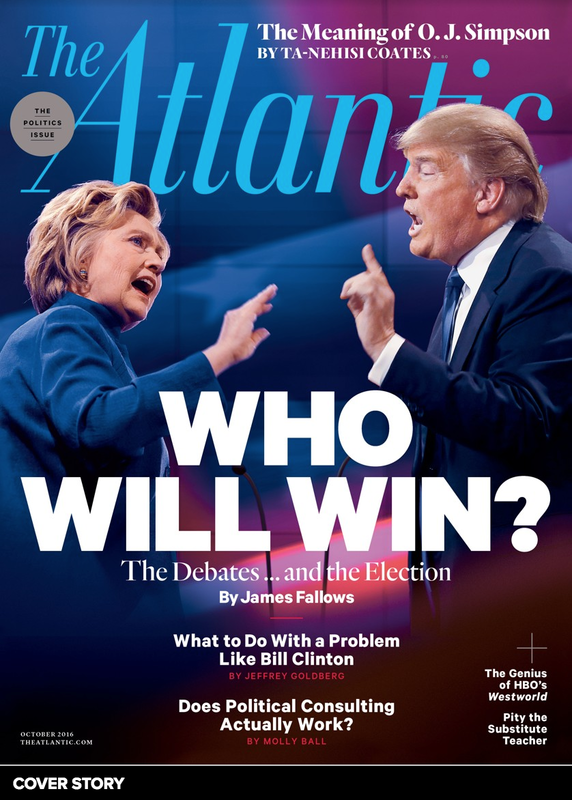 Mr. Farage then proceeded to distance himself both verbally and nonverbally from the American candidate. 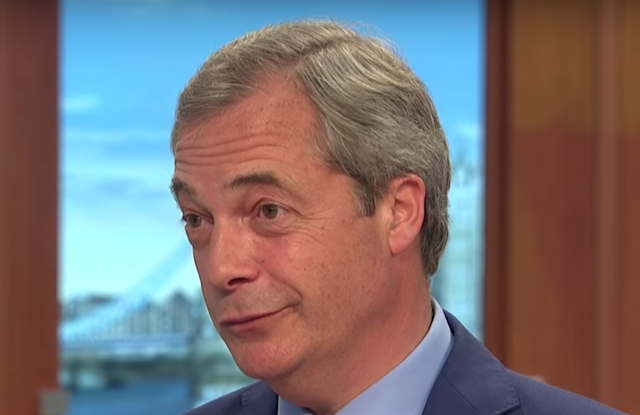 Note Farage during 1:06 as he pulls his head, neck and torso backwards in his chair and moves his hands beneath the desk. Farage also taps his right ankle in an anxiety display during 1:07 - 1:09. 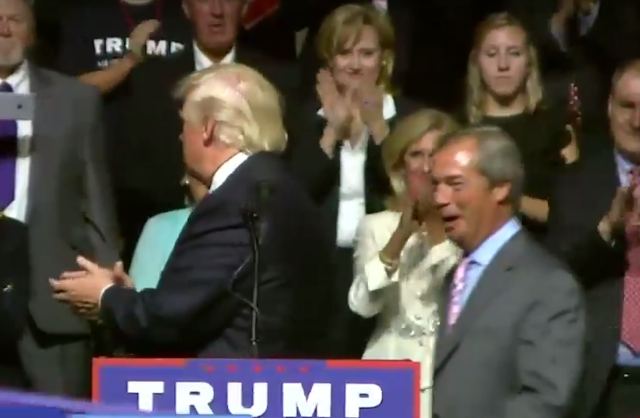 This combined behavior of whole body withdraw, hand-hiding and ankle-tapping is a strong body language cluster indicating that Nigel Farage does not at all want to be compared with Donald Trump. 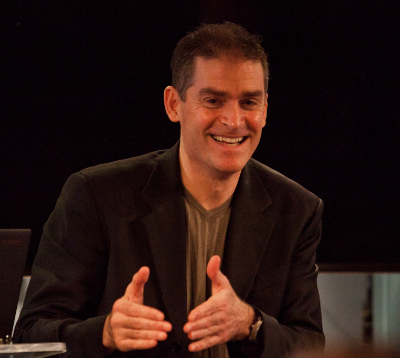 The image immediately above was captured during 1:18. Here we see Farage's right eyebrow raised in incredulity at being compared with Donald Trump. 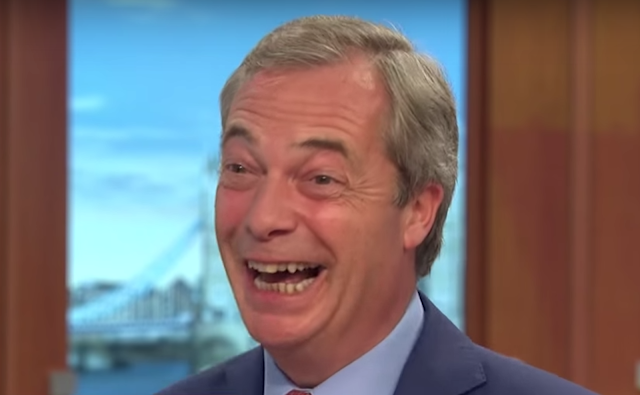 Mr. Farage then displays incredulous laughter with overt facial blushing as he says, "I've been compared to many things over the years, but not Donald Trump as yet, but thanks - thank you for that - It's a bit early in the day for that sort of thing ..."
Summary: On 24 June 2016, Nigel Farage distanced himself from and resented being compared to Donald Trump ... and yet in the ensuing weeks something has changed Farage's forebrain.